sometimes, the best equipment isn’t the best anymore. 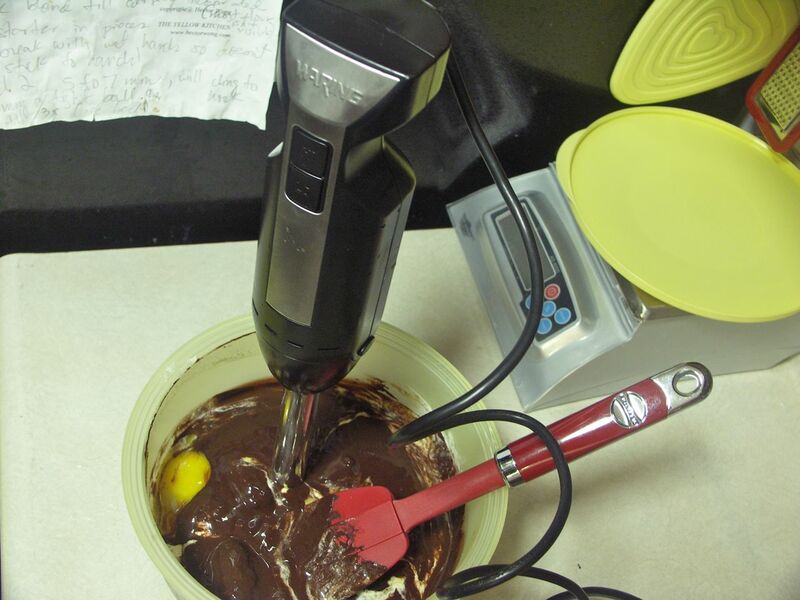 for ROSE’S heavenly CAKES: Chocolate Banana Stud Cake (page 96), i find myself using my immersion blender more and more rather than a food processor. unattended, i melt chocolate in my new oven at 110oF (chocolate should never be heated over over 120oF). 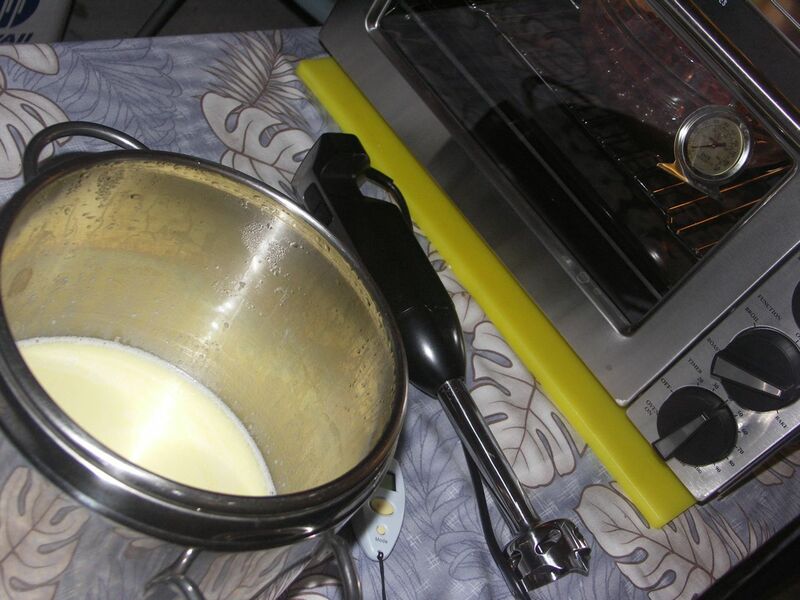 i scald the cream then let the cream cool till under 120oF. 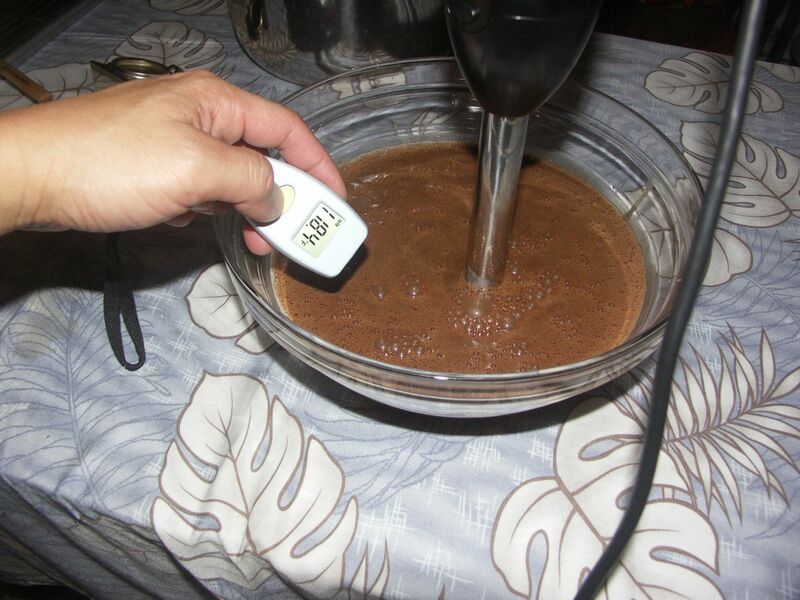 then mix the two with the immersion blender. it is perfect, and the cleanup much easier.